The arctic tundra is the northernmost of earth’s terrestrial biomes. It is defined by a key climatic control on vegetation –the lower temperature limit for development of forest at 10-12°C mean for July. COAT is implemented at two sites representing the Norwegian sector of the tundra biome - Varanger peninsula in the low-arctic and Svalbard in the high-arctic. Internationally, there are concrete plans for the establishment of “sister observatories” in arctic Russia (COAT Russia). COAT will also maintain tight links with similar observatories in Greenland and at Bylot Island in the Canadian arctic. 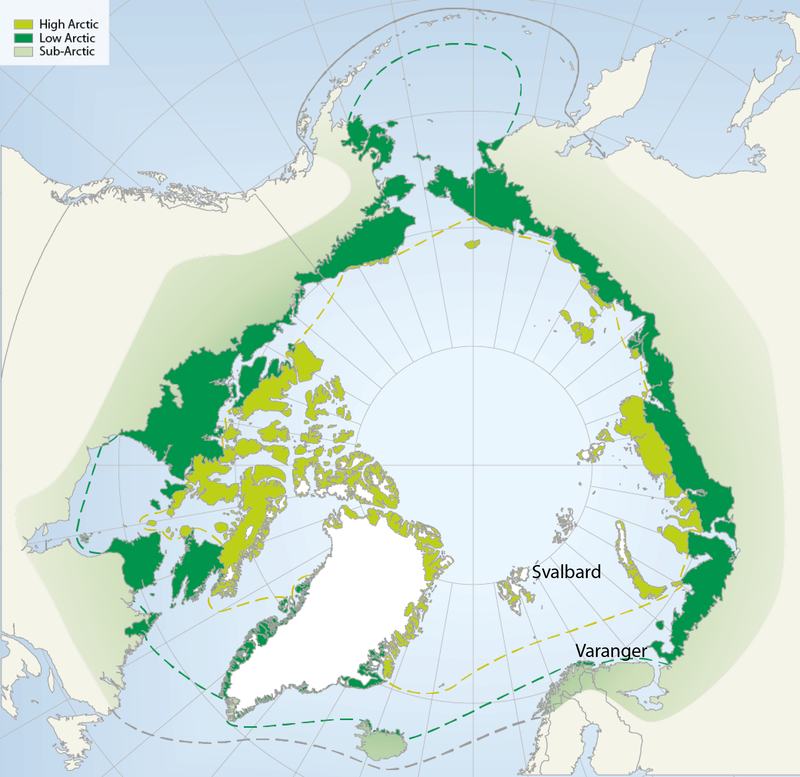 COAT aims to be Norway’s main contribution to the terrestrial part of the Circumpolar Biodiversity Monitoring Plan of the working group for Conservation of Arctic Flora and Fauna (CAFF) under the Arctic Council. COAT has been granted a substantial funding to establish research infrastructure from the Norwegian Research Council and Tromsø Forskningsstiftelse. The infrastructure will include a suite of field logistics (field housing units, transport units) and instrumentation (ranging from weather stations to camera trap networks) in both Svalbard and Varanger peninsula. This infrastructure will be available to external users when established. More information on access will be described here once the infrastructure is established (due 2020).